With fond memories, Cantus Vocum mourns the passing of Kjellrun Hestekin, a dedicated chorister since 2001. 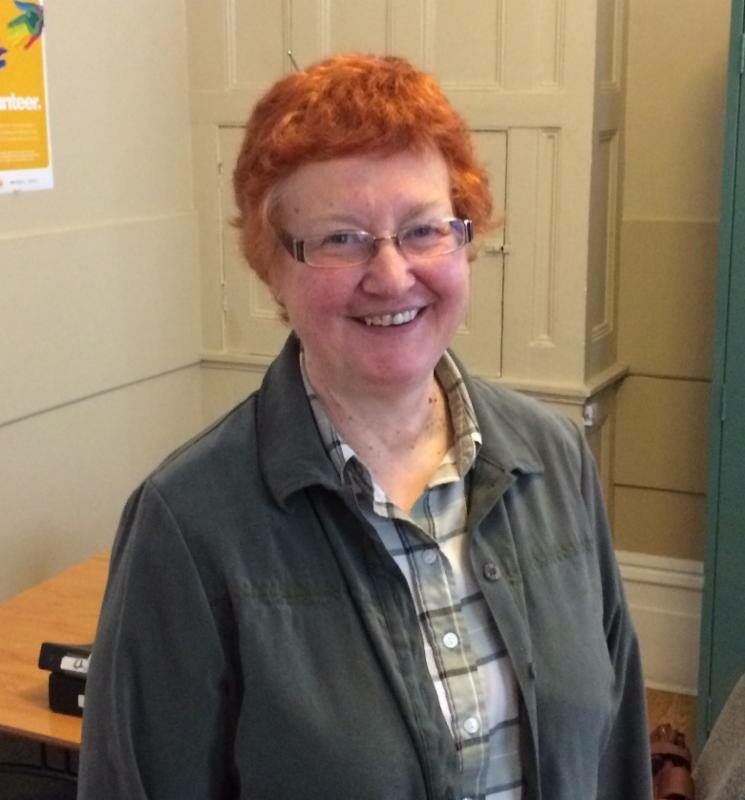 Kjellrun K. Hestekin, 66, St. John’s, Newfoundland, passed away on August 11, 2015, at the Dr. L.A. Miller Centre, St. John’s, Newfoundland, Canada. Kjellrun was born November 3, 1948, in Eau Claire, Wisconsin, U.S.A., to Walter E. and Beverly Jeanne (Rekstad) Hestekin. Her youth in Eau Claire was filled with water and snow skiing, speed skating, church choir and Luther League involvements, Girl Scouts, City Band, camping, weekends at the family cottage and summer counseling at Luther Park in Chetek, YMCA camp, summer drama and more. She graduated from Eau Claire Memorial High School in 1966 and attended the University of Wisconsin- Eau Claire, then completed her Bachelor of Music Theory degree at the University of Kansas in 1971. She was a member of the Society of Pi Kappa Lambda. 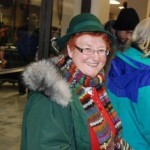 Kjellrun taught in the Grantsburg, Wisconsin public schools and received her Master of Music degree from the University of Wisconsin – Madison in 1976. 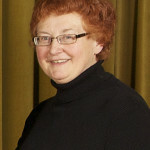 She then relocated to St. John’s, Newfoundland to join 3 other faculty in establishing the Memorial University of Newfoundland Music Department. She received the Diploma of the Faculty of Fine Arts in Music from The University of Calgary in 1988 and was awarded the President’s Award for Distinguished Teaching from Memorial University of Newfoundland in 2004. Kjellrun was a much loved, respected and admired member of the music faculty for nearly 40 years, retiring from full time faculty in 2011 but continuing on as an on-line instructor. 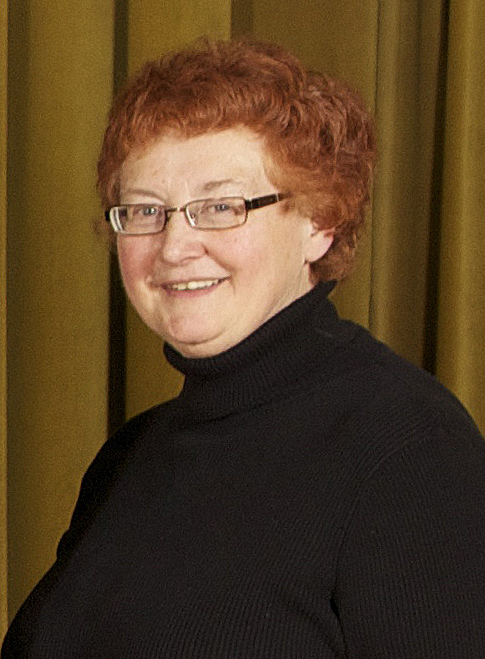 During her tenure at Memorial University of Newfoundland, Kjellrun taught all aspects of Theory and directed the MUN Concert Band in the early days of the school. She also sang in the MUN Festival Choir, as well as the MUN Chamber Choir. 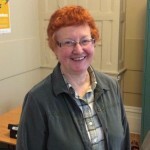 She served on the MUN Faculty Association on the executive committee and was a long time member of the Academic Freedom and Grievance Committee. She also served as “marshall” for countless convocations as well as occasional instances of “orator”. Combining her love of singing with her commitment to community service, Kjellrun became a valued member of Cantus Vocum Chamber Choir . Joining in 2001 she participated in multiple recordings, tv and radio performances, European tours, and conducted mastersclasses from 2001 through 2011. Additionally, her other involvements include, but are not limited to, service as a board member and or volunteer in: Festival 500 International Choral Festival human logistics chair; MUNPA committee for the College and University Retiree Association of Canada (CURAC) national conference banquet, catering, entertainment, transportation, signage, post-conference events and speakers gifts chair; MUNPA Board 2012 – 2015 to include MUNPA Liaison, MUNPA Services to Members Committee, Communications Committee and Assistant Editor of “Your Voice”; Tuckamore Chamber Music Festival volunteer and Board member; Campus Food Bank board member; Newfoundland Symphony Orchestra member and committee member; New Canadians Association volunteer and Women’s Association of Memorial University (WAMUN) member and volunteer. In her spare time, Kjellrun was an active outdoorsperson participating in 2 walking groups with her beloved dog, Cricket and mentor in an “Electronic Toys” interest group as well as a “Music Interest” group. She enjoyed learning and travelling, combining her love of languages with her sense of adventure and was a perennial student, never without a book in her hands, unless she set the book down to pick up her knitting needles. She loved her family and made annual family visits to Michigan and her native Wisconsin as well as visits to Texas and Colorado. Kjellrun is survived by two sisters, Susan (Dean) LeMay of Grafton, Wisconsin, and Anne (Alan) Gossman of South Haven, Michigan, and brother, Peter (Renae) Hestekin of Eau Claire, Wisconsin, along with 2 nieces, 4 nephews and one great niece and one great nephew. She is preceded in death by her brother, Chris (Patti) Hestekin of Georgetown, Colorado and her father and mother. Kjellrun’s family wishes to express their thanks for the multitudes of neighbors, friends, colleagues, associates, students and former students whose lives have been touched by Kjellrun for their love, caring, concern, appreciation, admiration, respect and especially prayers on behalf of Kjellrun. We thank God for her full life and for the blessing she has been to so many. As for her affect upon us here in Newfoundland, it is often said that the good we do lives on after us. The outpouring of love and support from her “adopted Newfoundland family” lends great credence to that notion. Her gentle compassion and generosity of spirit will be passed on in countless ways by everyone who benefitted from her presence among us. Friends may call from 2-4 p.m. and 7-9 p.m., Tuesday, August 18, at Carnell’s Funeral home. A memorial service celebrating Kjellrun’s life will take place at Gower United Community Church, 99 Queens Road, St. John’s, Newfoundland, at 2:00 p.m. on Wednesday, August 19th. The family requests memorials be directed to the Kjellrun Hestekin Memorial Scholarship Fund at Memorial University of Newfoundland through the office of Alumni Affairs and Development, 20 Lambe’s Lane, St. John’s, NL, Canada, A1C 5S7, by calling 709-864-4354 (toll free 1-877-700-4081), or online.